Significant levels of nutrients, even in products designed with strong or extreme flavor profiles, often lead to undesirable side effects. Taste, stability and odor can limit a product's performance both in the lab and on the shelf. By enveloping active ingredients in a protective multi-functional coating, SuperCoat® microencapsulated vitamins, minerals and nutraceuticals offer formulation flexibility in a wide range of applications. Formulated using our advanced, proprietary Super Micro Atomization Retention Technology (SMART) process, SuperCoat® allows you to maximize and deliver specific nutrient function by masking unpleasant taste, odor and mouth feel, of vitamins, minerals and nutraceuticals. Our value-added microencapsulation also increases stability and shelf life, protecting sensitive nutrients in extreme temperature and processing conditions. SuperCoat® ingredients eliminate reactivity with other micronutrients and protect in adverse pH environments. This protection allows for reduced overages, allowing formulators and product developers to fit nutrients within more compact applications. how can supercoat® improve your product? Protect Ingredients & Reduce Overages: SuperCoat® protects sensitive nutrients in a variety of extreme processing environments. In applications where extreme temperature variations typically disintegrate nutrients, SuperCoat® maintains nutrient integrity, thereby reducing ingredient overages. Mask Unwanted Taste & Odor: Strong odors associated with high dosages of vitamins and minerals and the bitter taste of most herbal extracts create flavor profile challenges for product designers. 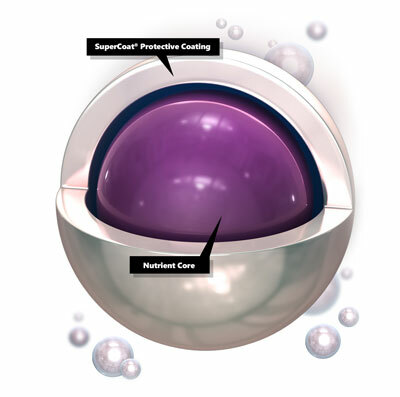 SuperCoat® microencapsulates eliminate or greatly reduce off-notes typically associated with potent nutrients. Prevent Reactivity: Ingredient interaction can cause potential functionality problems within supplements and meal replacement systems. SuperCoat® 's protective capabilities permit ingredient function and prevent reactivity by allowing you to incorporate nutrients that typically present product formulation challenges. 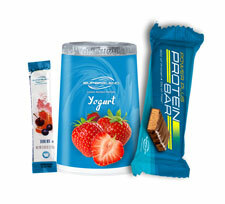 Contact us today to get started on your next food and beverage product.